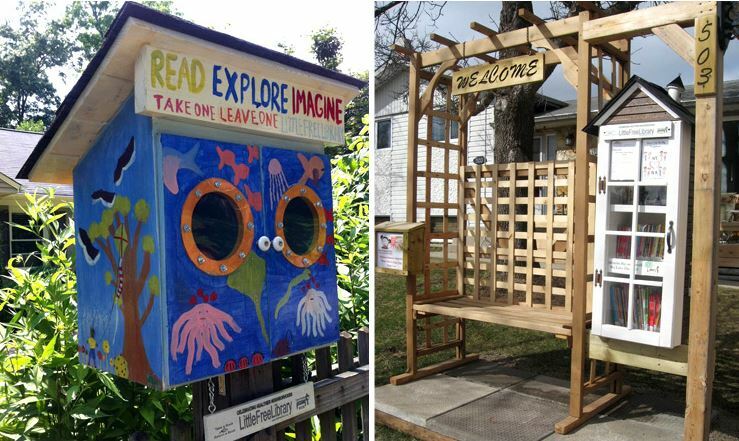 Little Free Libraries are community-building art projects — small, mailbox-like structures that house free books! There are nearly 15,000 Little Libraries across the country, but only about a dozen in Maine. We want to encourage people to share their love for reading with their neighbors and install a Little Library in their yard. 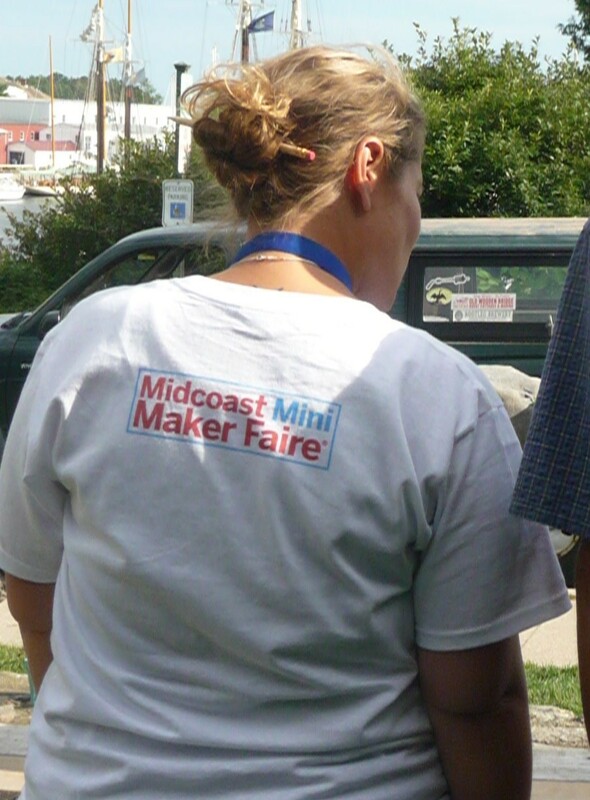 At the Midcoast Mini Maker Faire, Chelsea Avirett, Tom Weiss and Dena Davis will collaborate to make 2-4 Little Libraries and share information about the project. 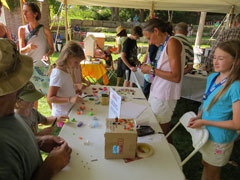 The libraries will be decorated with found objects (like pennies, buttons, etc.). These libraries will include books donated by local businesses to get people started with their library collection. Each little library will be raffled off at the end of the day. The students of the RSU 13 Lego Robotics Team, The Rockland RoboGeeks, will showcase some of their Lego Robotic Creations. The will have a hands on Lego bridge making activity. 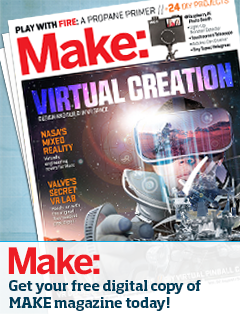 VillageSoup had a great article about these young makers this year. 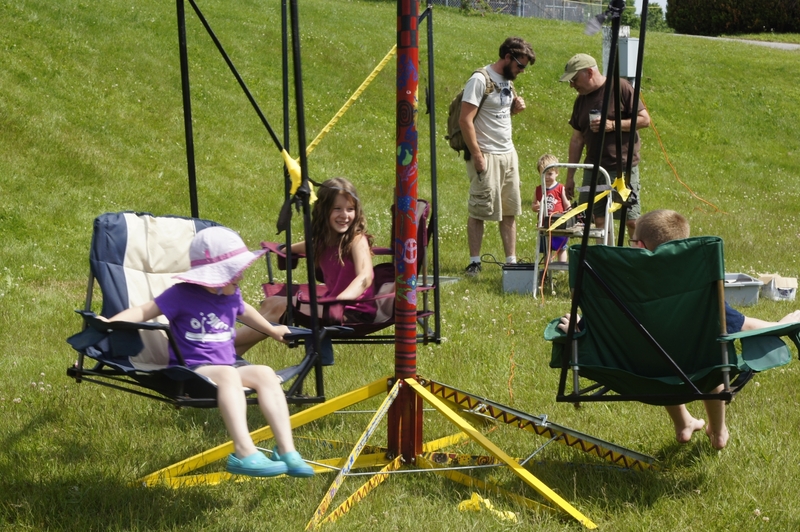 Arthur Haines will be here, setting up his homemade three person solar powered merry-go-round swing. 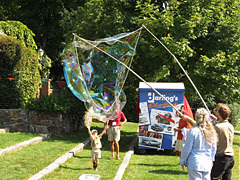 It can be enjoyed by kids or adults. Come swing with us! 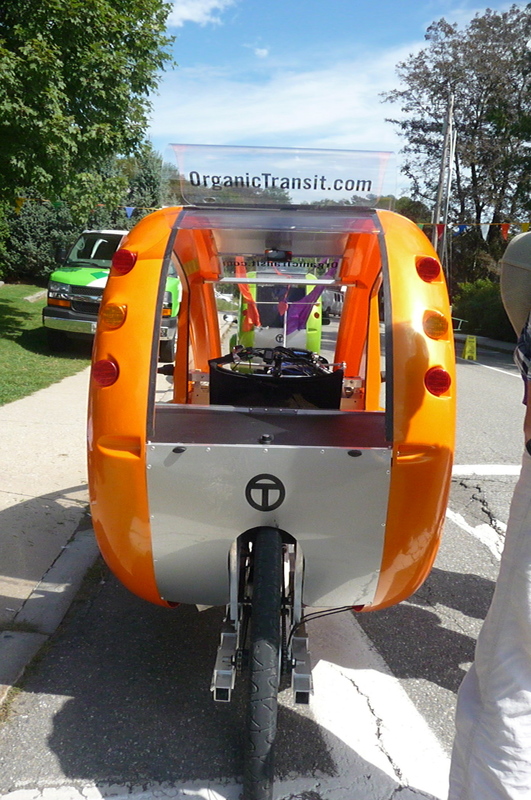 Maine Mathematics Science and Engineering Talent Search Pro gram will be here with a number of origami models. The modular origami models shown involve several identically folded paper units (or modules) assembled into a finished model. It has wide range of practical applications, in fields as diverse as robotics, hydraulic tube bending, protein folding, sheet-metal bending, and air-bag folding. Math lovers, engineers, scientists and physicians will be excited to note that most models resemble the crystal structures they work with. The mathematics of modular origami has been in-depth analyzed by mathematicians, engineers, scientists and architect s. Most folding and unfolding problems are attractive from a pure mathematical standpoint, from the beauty of the problems themselves. The maker of the models – Eva Szillery obtained her Ph.D. in Mathematics in Hungary at the prestigious Eotvos Lorand University. She started folding modular origami as an application for the teaching of mathematics. All photos are from the MMSETS’ Facebook page.